With all the excitement that comes with owning an iPhone, managing and operating this popular gadget is not an easy thing. Even those who swear by it agree that it has restrictions when it comes to managing your music files, sharing or exchanging music, videos and pictures, applications and other documents between your iPhone and your PC or other phone types. This is where file management tools come in. We know that you used iExplorer and need an iExplorer alternative for now and we will recommend the best to you. But before start, we think you need to review iExplorer first. What Is iExplorer & What It Can Do? What Is iMyFone iTransor & What It Can Do? iExplorer, which was formerly known as iPhone Explorer is an iPhone manager tool that lets you transfer messages, music, photos, videos, notes and any data from your iPhone, iPad, iPod or iTunes backup to any computer. 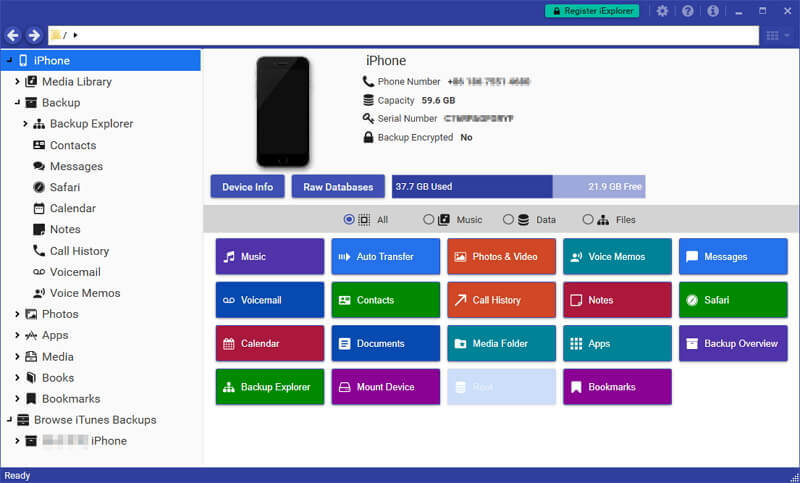 It is an iPhone browser that allows you to browse the data files and folders on your iPhone, iPad, or iPod as if it is a normal flash drive. Besides, iExplorer makes it easier for iPhone, iPod, and iPad users to manage, browse and export music to iTunes library or a computer with ease. This reduces the challenges faced by many iDevices’ users when it comes to managing their data files on iPhone. Auto transfer music from iOS devices to computer or iTunes. Export SMS, iMessages, and other types of data to computer. Use your iPhone, iPod or iPad like a USB flash drive. Access files on iPhone, iTunes backups/purchases and iCloud. Transfer music to iTunes is good for lots of users. View iPhone's photos directly in Mac Finder or Windows Explorer. It requires the installation of the latest version of QuickTime drive. It is incapable of importing photos, videos and other files from a personal computer to an iOS device or from one iPhone to another. It doesn’t support 3rd-party social apps, for example the most popular WhatsApp. As you can see iExplorer has its flaws and if you are not happy with its cons and want an easier-to-use and functional alternative to iExplorer, then you are in the right place. Apart from iExplorer, there are other apps available online, however, iMyFone iTransor stands out among them all. This is because it offers a smooth and easy iPhone file management experience. iMyFone iTransor is an iOS file management tool that lets you export, view, backup, and restore all your data with ease and convenience. This iExplorer alternative allows you to selectively transfer files from iPhone, iPad and iPod touch to computer. iMyFone gives you the power to manage almost all your data files since it supports over 18 different types of data from your iOS device or from backup files. iMyFone iTransor is an-easy-to use tool and it has a user-friendly interface. 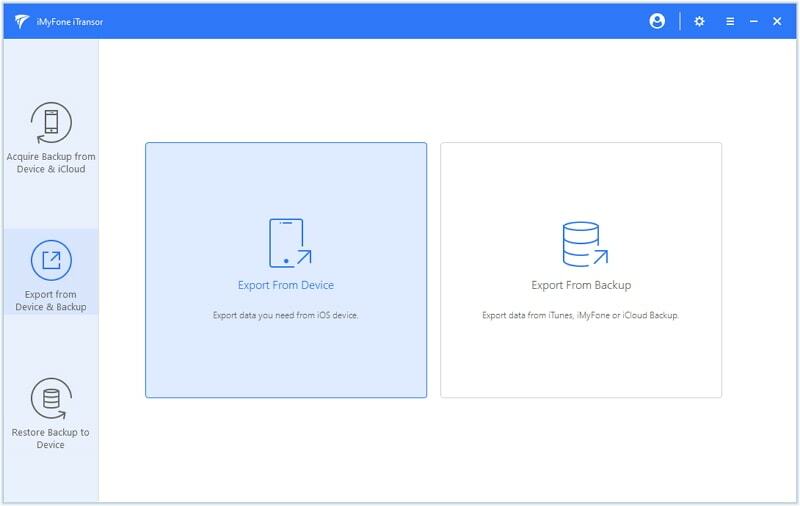 With its backup and export feature, you can back up all your data and settings on your iOS device to a computer and it does not overwrite the previous data. It lets you transfer contacts messages, WhatsApp, WeChat from iPhone to iPhone, or from backups to iPhone. Selectively Transfer data from iPhone/iTunes/iCloud to computer or another iPhone. Preview and selectively export data from your iOS device/iTunes/iCloud for more use. Back up your device without overwriting the previous backups. It is fully compatible with iPhone 8, 8 Plus, iPhone X and iOS 12. It supports to transfer 3rd-party social apps, such as WhatsApp or WeChat. Its features of backup device and download iCloud backup are totally free. You can view your data in iTunes/iCloud without paying any money. You can transfer your files from iPhone to iPhone without affecting data on both devices. The program doesn’t support transfer music and voicemails for now. Why continue having difficulties in managing your data files with iExplorer yet you have a best Alternative to iExplorer? Switch to iMyFone iTransor and enjoy the many benefits it offers. iMyFone iTransor is not totally same with iExplorer, but it can do almost all the things iExplorer can do and supports more than iExplorer, for example you can export data from device running iOS 12. Download its Free trial and give it a shot!